Where is you next trip? 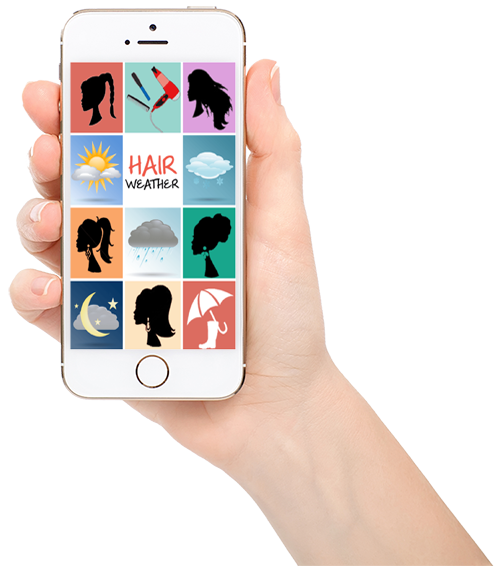 Make sure you check HairWeather app. General description of today's look for users to recreate at home in 5 minutes! Share the daily look via social media like Facebook, Twitter, Instagram and more! Search function to view weather and styles in other cities! What situations would you use Hairweather? Found backstage at runway shows during New York Fashion Week for over twenty years, Alex has a loyal clientele that follow him everywhere from New York , Los Angeles, to Miami. His resume touts some of the world’s hottest fashion shows including Venexiana, Diesel, Donna Karan, Jeremy Scott, Bebe, and Badgely Mishka. The Hungarian’s stunning work has been featured in Spanish Vogue, Elle, Bridal Magazine, UNTITLED . His creative hairstyling has also appeared in A&E’s “Private Sessions” and E!’s “Celebrity Weddings”, as well as Dr. Pepper’s 2014 ad campaign. Need to get in touch? Contact us with the simple for below.